What is the HeartMath Inner Balance HRV Biofeedback Tool? The HeartMath® Inner Balance is a Heart Rate Variability Biofeedback device, or HRV Biofeedback device for short, measures your short-term heart rate variability or HRV. In other words, in just a few minutes (short-term) you can see how your heart rhythm is changing on a heart beat to heart beat basis or how “variable” your heart rate is. In other words, there is natural variation in your heart rate even when you’re resting or sleeping. This differs from your heart rate speeding up because you’re running to catch an airplane. Researchers have identified the “just right” zone for subtle fluctuations in your heart rate, increasing ever so slightly when you breathe in and ever so slightly when you breathe out. I like to call this the “Goldie Locks” approach to understanding HRV biofeedback–not too much, not too little–just right. For a little more detail, please go to HRV Biofeedback tab on the home page. Who is HeartMath® Inner Balance HRV Biofeedback For? 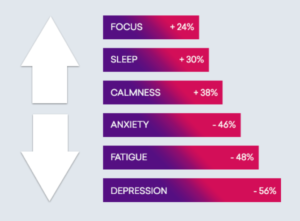 The HeartMath® Inner Balance HRV Biofeedback device is a great option for anyone who wants to relieve stress naturally. Within moments you can take yourself from stressed-out to calm, anytime, anywhere. Great for Care Givers and Healthcare Providers Too! HRV biofeedback training teaches you how to feel better and relieve stress naturally. You will learn how to calm emotions and restore your emotional balance. Your emotions are reflected in your heart rhythm pattern and you will learn how to self regulate your emotions, such as anger or stress, and replace negative emotions with a sense of calm. As you establish a short daily practice of 5 or 10 minutes once or more a day, you will begin to build up reserves of resilience. This means that you will be able to handle stressful situations better and improve your overall reaction to stress. 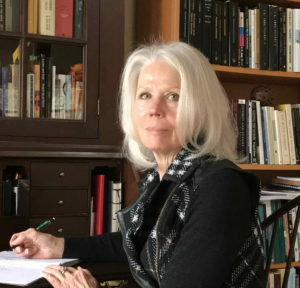 With my background as a medical device Product Director, I look for the research behind products. HeartMath® has a wealth of research and scientists aligned with them and leading institutions such as Stanford University, NASA Space Program, VA Hospitals, Cedars Sinai and many more. 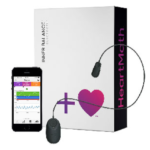 I was so impressed with the HeartMath® HRV Biofeedback product line that I earned the designation of being a licensed HeartMath Coach. This means that I have the credential from HearthMath® to teach other people how to use the device quickly and effectively. HeartMath® HRV Biofeedback training is relatively inexpensive, non-invasive, and very effective. The HeartMath® HRV biofeedback training is part of my own personal self-care regime. My favorite device is the Inner Balance app using the HeartMath® ear sensor. The Inner Balance app is free and the sensor is available from HeartMath (where you can gets tons of free information and support). How Does HeartMath® Inner Balance HRV Biofeedback Product Work? The Inner Balance app comes with its own training to help you get started. There are 4 challenge levels, begin on level one and build from there. You will be able to track your progress and get the satisfaction of knowing when you’re in the zone of high heart coherence. The only thing you really need to know is connect the sensor and go for the GREEN zone. If you’re like me and like charts and graphs, have at it! They can be turned on or off. Many of my clients prefer looking at soothing images or just keeping their eyes closed. There is no right or wrong way–find your own way to high heart coherence. This short video gives you a quick snap shot on the the ear sensor works with your phone and a little bit about the app. Take charge of how you feel! The Inner Balance Lightning sensor for Android and iPhone trains you to shift and replace emotional stress with emotional balance and coherence. When Should You Use the HeartMath® Inner Balance HRV Biofeedback Device? The HeartMath® Inner Balance app allows you to set reminders to practice whenever is most convenient for you. I like to practice first thing in the morning before the day gets going. When you’re starting, see if you can practice 5 minutes or so in the morning and either again at lunch time or in the evening. Some people like using the Inner Balance app right before bed to help them sleep better. The app will track your progress and as you continue to practice you will see your baseline improving which means you are becoming more resilient. As the founder of HowToRelieveStressNaturally.com I would love to hear about your experience with the HeartMath® Inner Balance product. Please leave a comment below to share your experience or to ask questions that you may have or by using the contact form.